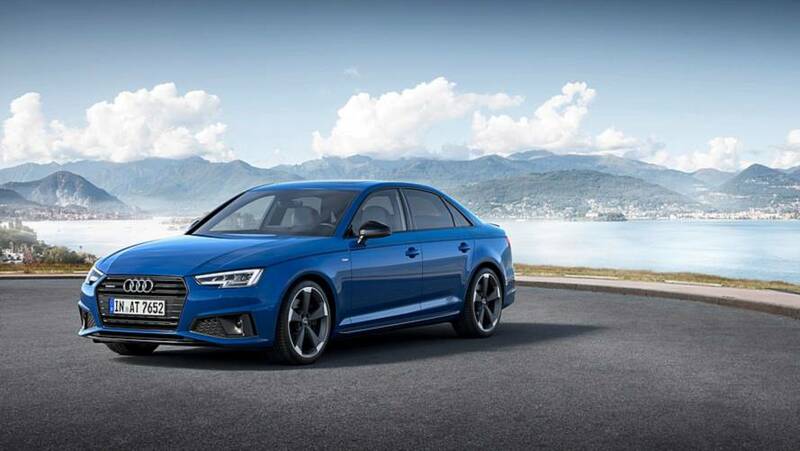 The model gets Audi's latest Quattro system and wide array of available safety tech. 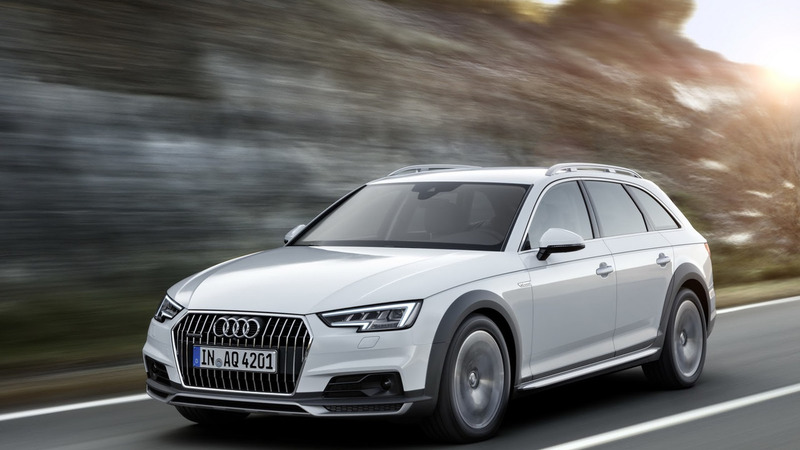 The United States doesn’t get the latest A4 wagon, but this fall the 2017 A4 Allroad brings the next best thing to the region. In addition to the longer roof, buyers get lots of extra equipment that eases any stress when doing light off-roading. For the most part, the A4 Allroad in the U.S. is identical to the version available in Europe. A large grille with vertical chrome slats dominates the front end. Cladding around the fenders and side sills also makes the wagon look a little more muscular. The Allroad can handle small trips off-road thanks to 1.3-inches (34-millimeters) more ground clearance than the sedan, and it has extra underbody protection, too. Inside, Audi has a wide array of standard and optional amenities. Every Allroad comes with a panoramic sunroof, leather seats, and three-zone climate control. Drivers also benefit from the German brand’s Pre Sense automatic emergency braking system. Customers can spec the company’s slick Virtual Cockpit instrument cluster and a full-color head-up display. Traffic sign recognition, active lane assist, blind spot monitoring, and adaptive cruise control are available for the safety conscious buyer, too. 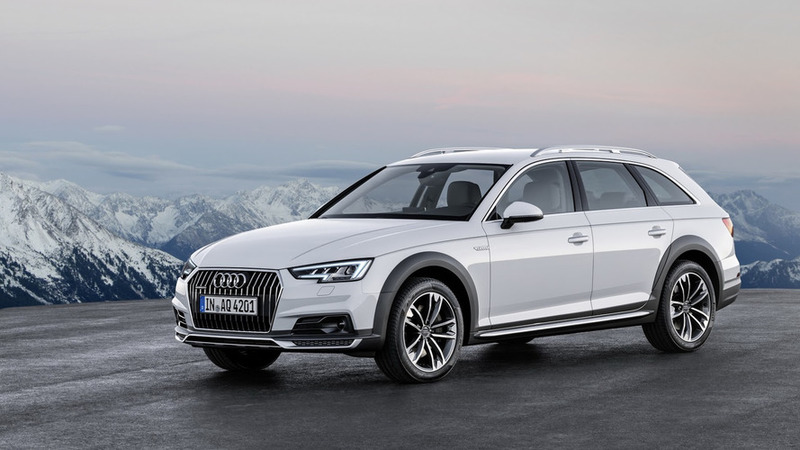 Where the Allroad in Europe is available with five diesel engines and one gasoline unit, the U.S. only gets the 2.0-liter TFSI four-cylinder with 252 horsepower (187.9 kilowatts) and 273 pound-feet (370.1 Newton-meters) of torque. It can get the wagon to 60 miles per hour (96.56 kilometers per hour) in 5.9 seconds. A seven-speed dual-clutch gearbox routes the power through Audi’s Quattro Ultra all-wheel-drive system, which saves fuel by decoupling the rear axle. The Allroad starts at $44,950 (after $950 destination) for the base Premium trim. The Premium Plus model goes for 47,950, and the top-spec Prestige costs $52,350.